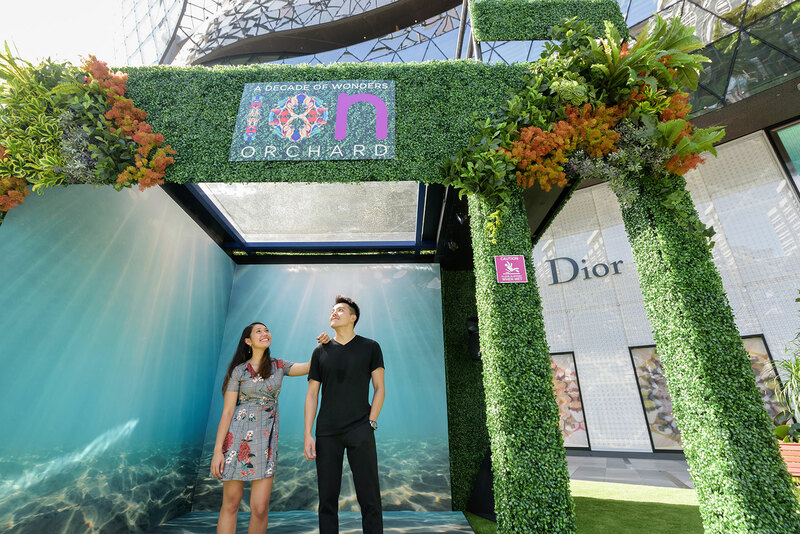 Nature and undersea fantasy take centrestage at ION Orchard’s Spring/Summer fashion season, where the mall’s outdoor space ION transforms into a dreamlike fashion garden, complete with an aquarium that will feature meet-and-greet sessions with an underwater mermaid dressed in a glittery sequined mermaid tail. 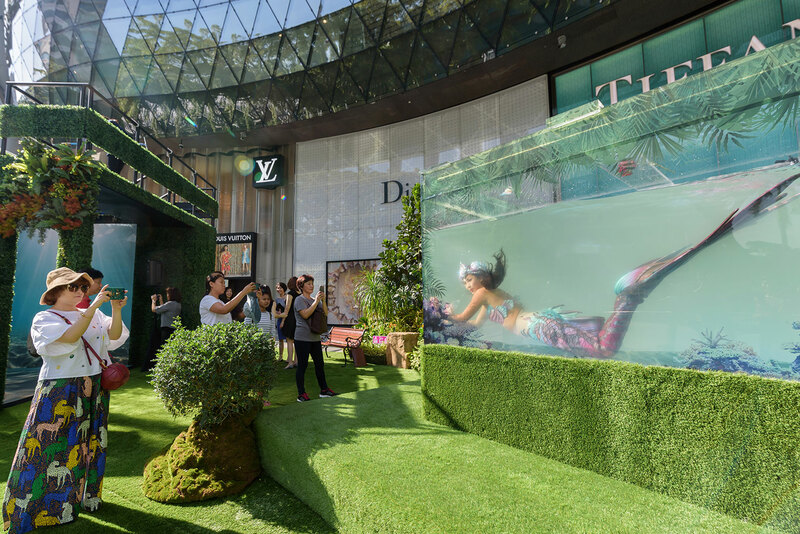 The beautiful mermaid will pose and greet shoppers in Orchard Road’s first purpose built mermaid aquarium tank measuring 2.4 square metres and 1.8 metres in height, and containing some 8,000 litres of seawater. 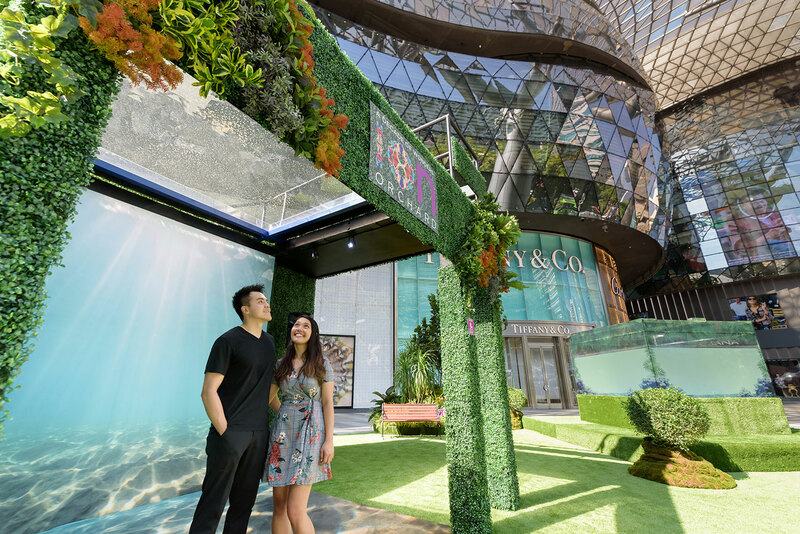 Together with sounds of marine life and decorative lighting, shoppers will be transported to a magical undersea realm.